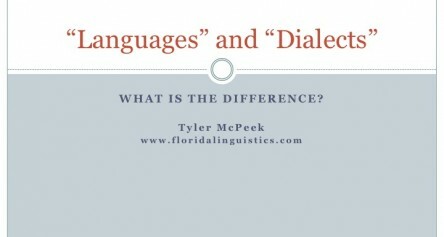 What is the difference between a “language” and a “dialect?” This short video explores the different use of these terms and their meanings from both a layperson’s and a linguist’s perspective. 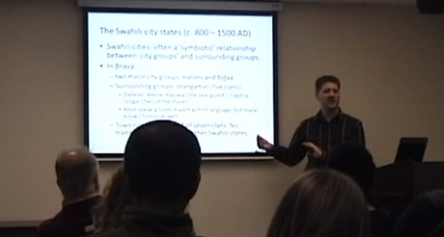 Real world case studies and examples from around the world are used to illustrate and explore different criteria for choosing one term over another to label a given mode of speech. 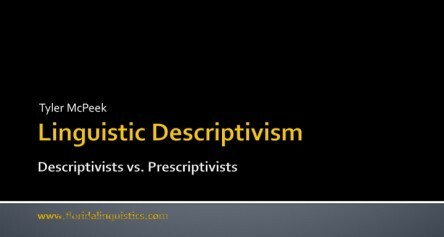 A brief explanation of linguistic descriptivism and the debate between descriptivists and prescriptivists in language science and language learning, with examples. 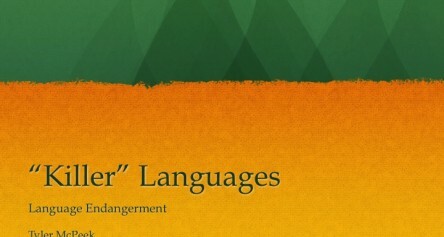 This is a short discussion on the topic of “killer languages” and the role they play in language endangerment and language extinction. 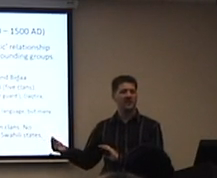 Real world examples from the linguistic sub-fields of language documentation and language endangerment are provided to illustrate key concepts. 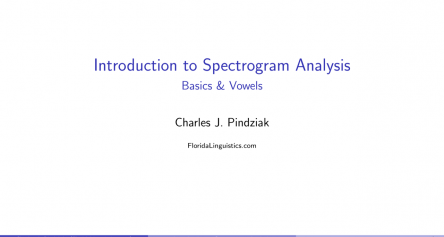 An introduction to spectrograms, including what information about the signal spectrograms convey, how to use Praat to create and read spectrograms, and how to determine vowel quality through spectrogram analysis.